Timothy F. Murphy’s review (2004) of Being Human: Readings from the President’s Council on Bioethics (2003) is scathing to say the least. The anthology itself consists of “95 excerpts from the past five thousand years. It draws from poetry, short fiction, philosophy, novels, and religious writing” (Murphy 125). In Murphy’s words, Leon R. Kass, Chairman of the Council (2001-2005) affirms the value of the anthology in terms of the Council’s charge to “facilitate a greater understanding of bioethical issues” (Murphy Ibid), and in the latter’s own words, “contribute to a richer understanding and deeper appreciation of our humanity, necessary for facing the challenges confronting us in a biotechnological age” (p. 126). Despite Murphy’s argument that Presidential commissions should not be in the business of producing tax-supported anthologies (p. 125), which these anthologies are, I wish to address the broader scope of his review: the status of literature in relation to the field of bioethics, both critical and clinical. Regardless of bioethics’ self-confessed ‘interdisciplinarity’ there continues to linger an anxiety or uncertainty, defensive or otherwise, pertaining to the question of how far certain ‘disciplines’ should—or in the least, can—inform bioethics. Literature, I claim, is the culprit par excellence in today’s discursive landscape. The question hinges, I argue, on the ‘translatability’ of theory into practice. Many critics consider the separation of theory and practice a false dichotomy (I include myself in this bunch! ), but for the purposes of this short piece, let us assume that it is valid. Bioethics, a relatively modern field to emerge within the larger—interlacing—fields of philosophy, sociology, bio-medicine, ecology, international development and so on, has benefited greatly from literature: Mary Shelly’s Frankenstein is perhaps a paradigm case, addressing such issues as human perfection, technology, and man’s desire to be God; so too are H.G. Wells’s The Island of Dr. Moreau and Aldous Huxley’s Brave New World, “works,” Murphy claims “that really offer the opportunity for considering what it means to mess with human bodies” (p. 126). These are, however, examples from the history of literature that were not selected for inclusion in the anthology. Instead, less ‘readily applicable’ sources were selected, e.g., The Histories of Herodotus, St. Augustine’s Confessions, Jean-Jacques Rousseau’s Reveries of a Solitary Walker, J.M. Barrie’s Peter Pan, and George Eliot’s Silas Marner. Murphy rightly states, “There’s a lot of heavy lifting to be done in bioethics” (Ibid); however, he cautions “I’m not convinced that a sampling of literature is the best way to do it, let alone through a collection put together this way” (Ibid). Bioethics commentators and practitioners, Murphy asserts, need to able to “justify in plain moral terms why some procedures—like embryonic stem cell research—should be permitted or not. Will the research lead to more happiness overall? Will the research violate anyone’s rights? Should the research take priority over other studies that might be funded?” (Ibid). Instead the Council “asks” us why Peter Pan does not want to grow up as well as to consider the passive and brittle “leaf-like” qualities of human life (see Silas Marner). Such literary excerpts, Murphy claims, rather categorically, “will not help answer these questions” (Ibid). Murphy further argues that “the Council might have done better to put together a volume dealing with the economics and epidemiology of global disease, or a volume in the history of experimental medicine, or a volume dealing with access and equity in health care” (Ibid), texts that address live questions that require real answers. I do not wish to be mistaken for being unfairly harsh on Murphy, his points are valid and justified; the issue that I address is the apparent inability to think about bioethics in any other terms than those provided and already established by the existing canon of ‘literary’ works. Murphy, like others no doubt, is recalcitrant to the particular arrangement (‘canon’) produced by the Council, posing the same ol’ canon-critiquing questions: “Whose canon is this, and whose interests does is serve?” (Ibid), but I think it is more productive to approach Being Human as an exercise in anti-canon building, or canon-deconstruction. Murphy’s review is symptomatic of the kind of ‘crisis’ a traditional, or modern, comportment with regard to bioethics experiences when confronted with a postmodern cultural milieu. Recent bioethics literature has suggested a growing awareness of the impotence of traditional theory to meaningfully speak to so many of the challenges posed by the contemporary social-scientific landscape, while simultaneously gesturing toward a desire for another way of tackling such issues. Rentmeester (2012) points out that “‘Traditional’ theories of bioethics—deontology, consequentialism, casuistry, and principlism, to name a few—have not productively illuminated the intersections of racial and ethnic injustice in healthcare and underservice to people,” for example “with mental illness” (p. 366). To complement the philosophically “analytical” roots that ground the tradition of bioethics—with its emphasis on argumentative clarity and logical precision—Rentmeester posits postcolonial criticism and discourse arguing that it offers contemporary bioethicists a “broader range of conceptual apparatuses and theoretical resources that better position us to eliminate centuries-old health injustices” (pp. 366-7). Tomasini (2010) likewise identifies global shortcomings in the traditional analytic paradigm, gesturing instead toward the otherwise maligned “continental” philosophical thought, which as Rentmeester notes, “emphasizes historical, political, cultural, aesthetic, and literary conceptions of meaning” (367). Tomasini advances a refreshing proposal for approaching bioethics, critical and clinical I suppose, by way of French philosopher and psychoanalyst respectively: Gilles Deleuze and Félix Guattari. In the latters’ work A Thousand Plateaus (1991), the attempt is made to sketch the philosophical traces for so many ‘lines of flight’ out of thinking in terms of the ‘tradition.’ The metaphor Deleuze and Guattari use to build up their understanding is the rhizome. Cast in terms of bioethics, a rhizomatic way of thinking can be described as one that disrupts “dichotomous stratification[s] by means of transversal relocation that stimulate new traditions and methods of thinking and communication” (Tomasini 3). The critique implied is that ‘traditional’ approaches to bioethics and other disciplines have grown insecure in the modern world—threatened by so much growing ‘interdisciplinarity.’ To survive, the governing bodies of these traditional approaches defame and discredit new and burgeoning approaches, if ever so subtly. Whether it is a particular use of new media for the dissemination of knowledge or the inclusion of “non-specialist voices,” these traditional approaches deny change and movement; they are ‘arboresque.’ To the contrary, the new and burgeoning—i.e., rhizomatic—approaches to these same disciplines embrace the unjustly defamed, discredited, and marginalized. These approaches affirm change and movement; they are ‘rootless’; hence rhizomatic. The President’s Council on Bioethics’ anthology in question is one such iteration of a rhizome, at least for those more arboreal-types like Murphy. Philosophical and discursive rhizomes move and shift, slip from one’s grasp easily, and are lost again only to pop up unexpectedly—and most likely unwanted—someplace else. Rhizomes embody desire as a revolutionary means; to suppress the sprouting of rhizomes is to suppress change and growth. This analysis applies to the field of bioethics just as much as it applies to fields such as legal studies, anthropology, ecology, and education, to name a few. By tapping into horizontal technologies and dipping into ‘non-traditional’ voices, new discussions and values are allowed to infest and corrupt the traditional received view and what is deemed pure and rigorous. The “discursive performative” claiming that Auden, “Peter Pan,” or Camus do not concretely address and help ‘solve’ immanent bedside problems and dilemmas is not important to pay attention to; what is important is the functionally ‘affective disgust’ that these marginal texts produce in a possible reader. Literary, cultural critic, and psychoanalyst Julia Kristeva (1982) spoke of the “abject” as a psychological phenomenon of repulsion and disgust necessary for the entrance into symbolic subjecthood. “[W]hat is abject,” she states “is radically excluded and draws me toward the place where meaning collapses” (p. 2). The experience of abjection is not willed or welcome; it merely happens, like so many rhizomatic sprouts. However, unlike rhizomes, abjection conjures within the subject a feeling of disgust and hatred, such as Murphy’s disgust regarding Peter Pan’s or the leaf-human metaphor’s relevance to critical bioethics. In abjection, traditional meaning ‘collapses’ or at any rate is placed on trial, questioned. One has the opportunity, then, to address and work through this ‘horror’ or attempt to represses it and continue on living in its haunting shadow. Abjection, though, is not merely negative and foreboding, it does in fact promote positive growth and affirmation. Kristeva later adds, “On the edge of nonexistence and hallucinations, of a reality that, if I acknowledge it, annihilates me. There, abject and abjection are my safe-guards. The primers of my culture” (Ibid). In spite of the apolitical or ideological nature of the Council’s anthology, entries such as those Murphy cites as unhelpful should be sympathetically engaged with as so many possible windows unto a new world of bioethics, both critical and clinical. By this I mean that there is nothing internal or innate to certain readings, or works of art, e.g., Frankenstein, Brave New World, etc., that lend them a priori bioethical significance; no more than say Peter Pan or Silas Marner. In other words, what I am arguing here is that our society favours texts like Frankenstein, &Co., because they are situated within a particular discursive regime that was productive of both bioethics as a field as well as the subjects that we understand ourselves to be. At the risk of drifting into psychoanalytic diagnostics, I ask the following: could it be that by rejecting fidelity to the traditional canon we fear we lose a firm hold on our identity; thus, in an act of self-preservation we ‘abject’ Peter Pan and Silas Marner and shore up our identities and imaginations with that with which we are familiar? The answers or significance that these marginal texts lend to bioethics do not have to be readily present; bioethics commentators and practitioners ought to simply dwell with these unorthodox texts with an open mind, anticipating the arrival of something radically new that, over time, might become gradually formed into a wonderfully new productive method, thought, concept, or idea; a notion that could grant previously assumed impossible insight into a new mode of practice. G.K. Chesterton (1909) is known for saying “Fairy tales are more than true: not because they tell us that dragons exist, but because they tell us that dragons can be beaten.” Fact and Fiction are not two separate realms but rather the continuous fabric of a cultural and intellectual quilt. To say ‘No’ to one patch is to disavow the entire quilt. G.K. Chesterton. (1909) Tremendous Trifles, XVII: “The Red Angel” Online.http://www.online-literature.com/chesterton/tremendous-trifles/17/ January 10, 2014. Gilles Deleuze & Félix Guattari. (1991) A Thousand Plateaus: Capitalism and Schizophrenia Vol 2, trans. Brian Massumi, Minneapolis: University of Minnesota Press.
. (1997) Essays Critical and Clinical, trans. Daniel W. Smith, Minneapolis: University of Minnesota Press. Julia Kristeva. (1982) Powers of Horror: An Essay on Abjection, trans. Leon S. Roudiez, New York: Columbia University Press. Timothy F. Murphy. (2004) “Better Bioethics Through Literature?” The American Journal of Bioethics, 4(3): 125-127. Christy A. Rentmeester. (2012) “Postcolonial Bioethics: A Lens for Considering the Historical Roots of Racial and Ethnic Inequalities in Mental Health.” Cambridge Quarterly of Healthcare Ethics, 21(3): 366-74. The President’s Council on Bioethics. (2003) Being Human: Readings from the President’s Council on Bioethics. Washington, D.C.: The President’s Council on Bioethics. Floris J.W. Tomasini. (2010) “What Is Bioethics: Notes toward a New Approach?” Studies in Ethics, Law, and Technology, 4(2): 1-7. 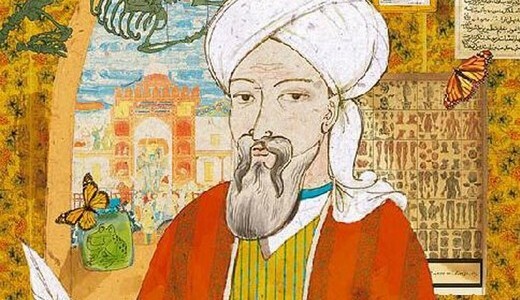 Image: Medieval Arab philosopher Avicenna. Wikimedia Commons.